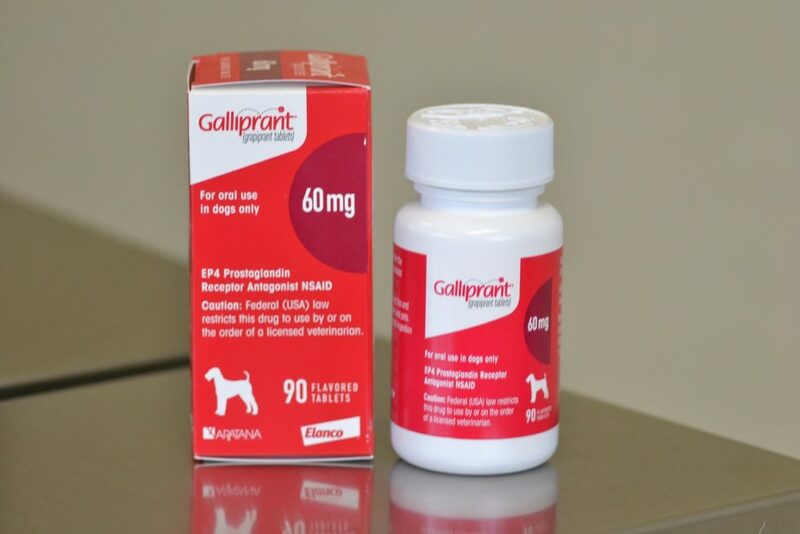 Galliprant is a new medication that treats pain and inflammation due to osteoarthritis in dogs. What this means for dogs is more years of comfortable running, jumping, and playing. It means getting up and taking more frequent and longer walks with their families. Dogs who have their pain treated are more likely to exercise more, maintain muscle strength, and remain at a healthy weight. The science behind Galliprant is interesting. Galliprant is a first-in-class piprant; a non-COX-inhibiting prostaglandin receptor antagonist (PRA). It specifically blocks the EP4 receptor, the primary mediator of osteoarthritis pain and inflammation. Galliprant is more targeted than traditional NSAIDS, with fewer side effects and a very good safety profile. Brought to us by Elanco, Galliprant allows for early, safe, and effective treatment of arthritis in dogs. Please call for an appointment if you think your dog could benefit.